This blend is experienced as movement between the multilayered notes of fragrance. Its alchemy is formulated to encourage the fluidity needed for a masterful life of grace. The Sacred Space oil works in conjunction with the Sacred Space bathsalts to clear and combat the detrimental effects of the hostile electromagnetic (EMF) waveforms we are continuously being bombarded with from cell towers, cellphones and numerous other sources. This unisex fragrance has the therapeutic effect described by Dr James Cotrell as “helping the immune system to regulate its vitality .. and to refresh to patterns in the brain“ (The Complete New Age Health Guide). The Sacred Space bath salts support the function of the oil by clearing the memory of the distorting pollution from the atomic magnetic field generated by the electrons. This potent alchemical oil has been blended by the Seer from five oils, sourced from countries around the Globe, as revealed in a vision. Each ingredient captures the essential power of an element, held within the oil and released by the alchemy. In combing the five awakened ingredients in exactly the correct order and proportions, a powerful blend is born that awakens the Self-Sustaining qualities of self-sovereign mastery. The body becomes a cauldron, or receptacle, for the alchemy of embodied power. 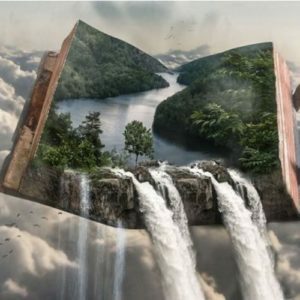 The Seer in visionary dreams, sees a product, or a book, before it is produced. Such was the case with this powerful blend of naturally occurring salts, specifically designed oil blends from around the world, and organic herbs. It was suggested to her as something that should be created over many years, but she has firmly believed that if it is needed, it will be explained to her in a dream exactly how and when to produce it. The time for this powerful gift from the Infinite has finally come. 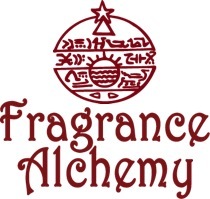 Copyright 2012- fragrancealchemy.com. All rights reserved. With the introduction of the new Fragrance Alchemy site, all customer accounts have been removed! You can create a new account when you place an order on the checkout page.